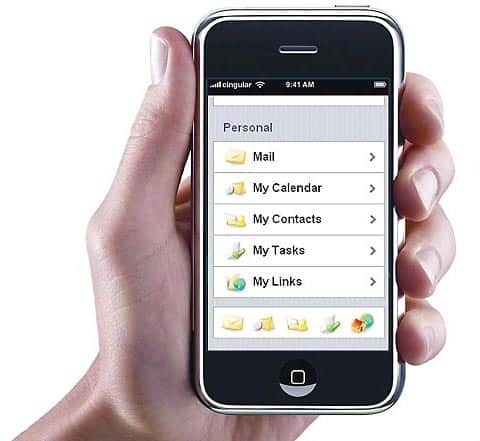 The Apple iPhone is ready to do business; HyperOffice will get you started for free. HyperOffice delivers the power of total collaboration and business email directly to your mobile device. You can bring teams together, schedule meetings, and manage project information seamlessly through HyperOffice on your Apple iPhone, BlackBerry, or any other Web-enabled handheld. You can also share and edit documents, personal and group calendars, and tasks. HyperOffice’s software lets you transform your personal information manager into a full-blown productivity tool without the need for Microsoft SharePoint and without Microsoft Exchange. If you want mobile collaboration that’s both powerful and flexible, contact HyperOffice and sign up for a free trial today.